Recplanet.com | "Where the World is your Playground." Welcome to RecPlanet.com "Where the World is your Playground." Our database covers recreational areas around the world but our main page covers the United States. We have thousands of places in our database and grow everyday. At RecPlanet we take pride in hard work, our database is hand made, not a single site scraper was used and all places have been checked for amenities. At the bottom right you can use the Recreational Activities Map or simply the RAM to search out fun places in our database use CONTROL to select more than one activity. 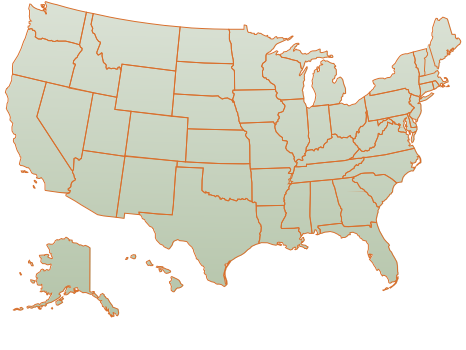 RecPlanet has all Federal Lands in the database as well as most State Lands. There are many local recreation areas in the database too. Our 55 most covered urban areas in alphabetical order include Albuquerque New Mexico, Anchorage Alaska, Atlanta Georgia, Billings Montana, Bloomington Illinois, Boise Idaho, Bridgeport Connecticut, Cedar Rapids Iowa, Champaign Illinois, Charlotte North Carolina, Chicago Illinois, Cincinnati Ohio, Colorado Springs Colorado, Columbus Ohio, Davenport Iowa, Denver Colorado, Des Moines Iowa, Dodge City Kansas, Dubuque Iowa, Durango Colorado, Erie Pennsylvania, Fairbanks Alaska, Fort Lauderdale Florida, Fort Wayne Indiana, Grand Island Nebraska, Great Falls Montana, Greenville South Carolina, Helena Montana, Indianapolis Indiana, Jacksonville Florida, Kingsport Tennessee, Knoxville Tennessee, Lincoln Nebraska, Los Angeles California, Louisville Kentucky, Lubbock Texas, Memphis Tennessee, Milwaukee Wisconsin, Minneapolis-Saint Paul Minnesota, New York City New York, Ogden Utah, Omaha Nebraska, Owensboro Kentucky, Phoenix Arizona, Provo Utah, Richmond Virginia, Saint Louis Missouri, Salt Lake City Utah, San Angelo Texas, Seattle Washington, South Bend Indiana, Syracuse New York, Tulsa Oklahoma, Waterbury Connecticut, Wichita Kansas. The database is growing. Our quick search is I-phone compatible and a much narrower and specific focus than Google Maps. If there is a place that you do not see in our database that would you like to see in the database you can either add one to our database (admin approval required) or request it in our site forum, either way you will have to register, which is free. We are also constantly seeking bloggers to share their recreational experience and are willing to share royalties with them. You are welcome to blog about any recreational activity whether it be skydiving, hiking, fishing, cycling, skiing, bird-watching, jogging, etc. If interested please inquire in site forum or use the contact us link. Have fun! RecPlanet was started by me, Taylor Marshall, in 2008 in Atlanta, Georgia. I am always open to suggestions and new ideas. To contact me simply use the contact us link. I will try to get back to you as soon as possible.